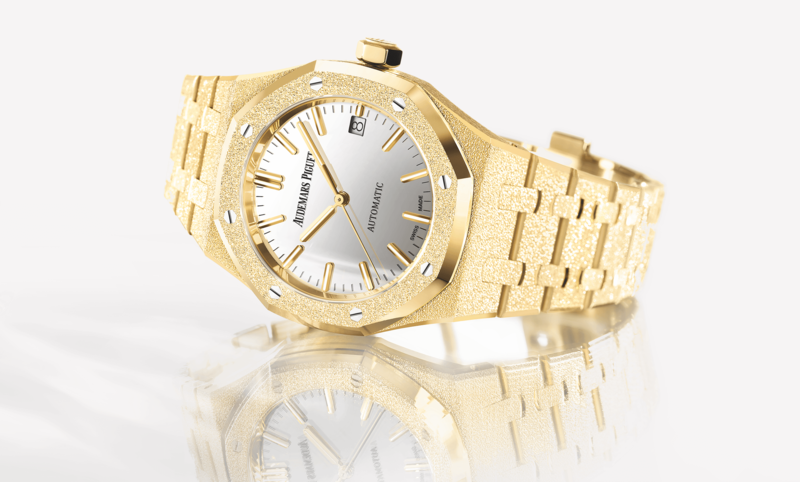 Royal Oak Limited Edition 37mm. 18k Yellow Frosted Gold Case and bracelet with a silver-toned mirror. The very first of its kind to feature a mirrored dial. 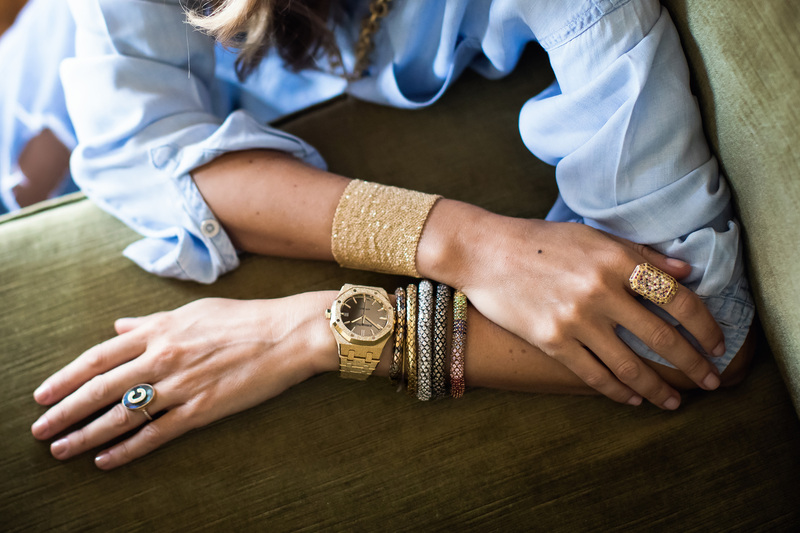 Discover more about the collaboration between Audemars Piguet and Carolina Bucci here.